The attorneys of Foley Law Firm have helped injury victims and their families in and around Scranton and Stroudsburg receive just compensation following major accidents and acts of negligence. Their legal help has proven especially helpful in motorcycle accidents that result in serious injuries and fatalities. Sometimes accidents involving motorcycles are the result of negligence on the part of motorcyclists. An example of this involves the act of lane splitting, which we'd like to cover the basics of right now. Lane splitting refers to a motorcycle driving along the white line between vehicles. It is usually done in order to pass or overtake cars. Lane splitting can be done while vehicles are stationary (such as at a stop light or in stalled traffic) or when vehicles are in motion (such as on a city street or a highway). Lane splitting increases the chances of a major auto accident occurring. 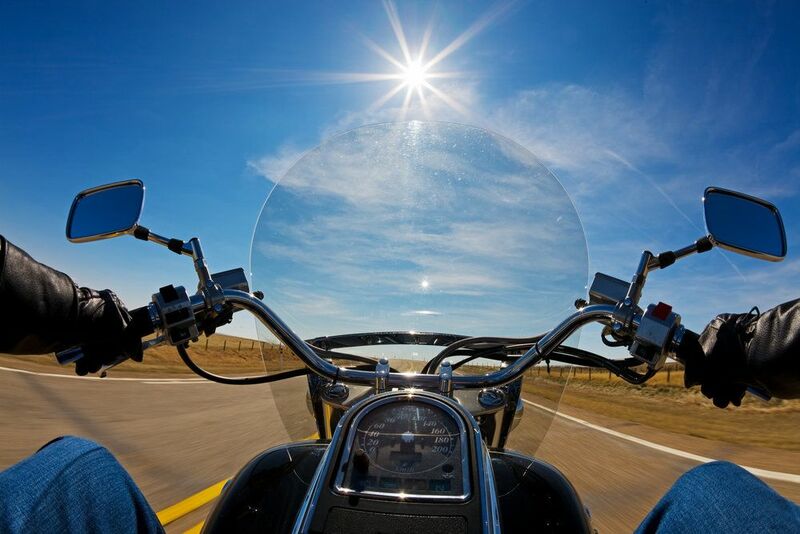 The proximity of the motorcycle to other vehicles makes it more likely for a side-end or sideswipe collision to occur. This can be especially harmful to the motorcyclist, who runs the risk of being knocked over and crushed by an adjacent car or an oncoming vehicle. The chances of a multi-vehicle collision go up a great deal in these cases since other motorists may swerve to avoid a motorcyclist, striking other cars and trucks in the process. Even when traffic is stopped, lane splitting could result in an accidental injury to the motorcyclist. For example, the motorcyclist may strike a side mirror on a car or truck, or the motorcyclist may run into a door that is opened. Can two motorcycles share a single lane in the state of Pennsylvania? While lane splitting is not allowed, it is okay for two motorcycles to occupy the same lane at the same time. It is illegal to exceed more than two motorcycles abreast in the same lane, however. The same concerns about space and safety apply here with regard to this statute. If you have been injured in a motorcycle accident that was the result of another motorist's negligence, we can help you in your time of legal need. The lawyers of Foley Law Firm will carefully consider your case and fight diligently for you and your legal rights. We will help ensure that you receive just compensation for injuries sustained, damage to property, and wages lost due to serious injury. Punitive damages will also be sought in excess of material losses based on the circumstances of your accident. For more information about your legal options following a serious motorcycle accident, it's important that you contact the lawyers at our personal injury law firm today. The attorneys here at Foley Law Firm will fight diligently for you and your legal rights.